Seattle is known as a beautiful city, worth exploring in and of itself. But those who live here know that one of the biggest draws to Seattle is how close it is to so many other beautiful places when you’re ready for a break. Whether you want to spend your weekends escaping the city with a hike in the mountains, discover a different world entirely out in the San Juan Islands, or even travel internationally to discover our nearby Canadian neighbors — the options for getaways from all over Seattle are endless. One way to help you decide where to head on a quick trip is by matter of convenience. Seattle covers some ground, and there is always traffic to keep in mind, so consider picking your weekend escape based on which of Seattle’s neighborhoods you’re starting from. Here are a few ideas. Living in Queen Anne brings the perks of beautiful neighborhoods, old architecture and convenient access to weekend getaway spots north of the city. 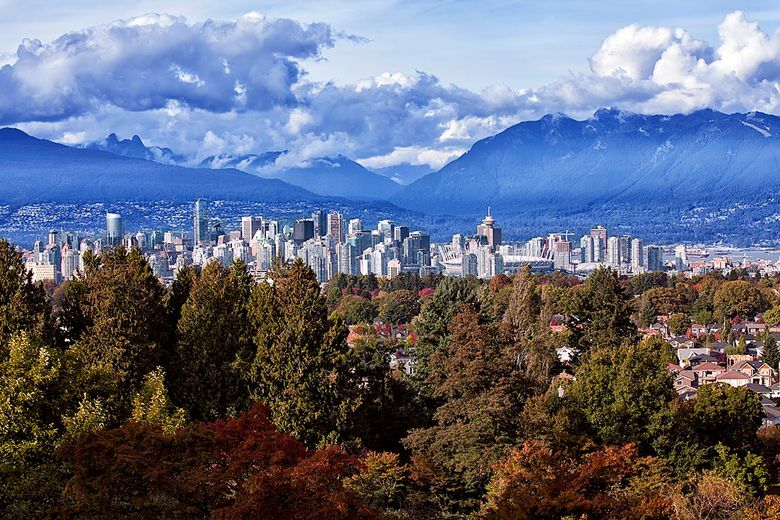 “If you live north, that definitely makes it easier to not have to go through downtown on your way out of town,” says Roger Morris, a realtor with Coldwell Banker Bain who runs the Seattle neighborhood blog On the Road With Roger. Our closest urban neighbor is well worth a weekend getaway, even if it means a border crossing. And if you start your journey from Queen Anne, with easy access to Highway 99 and I-5, you’ll cut off any traffic that might be bottling up downtown Seattle from points further south. Another favorite weekend getaway of many northern Seattleites is getting up to those northernmost San Juan Islands. If you launch from Queen Anne, you can count on cutting off most of the get-out-of-town traffic and get right on I-5 North to get up to Anacortes. From there, the ferries can take you to Orcas, Lummi or San Juan for breathtaking views, wildlife spotting and an escape from city life. The quiet neighborhood of Magnolia is tucked away on a western bluff overlooking Puget Sound. While getting in and out of Magnolia takes a little more driving than in some other Seattle neighborhoods, there is one major advantage for those who are looking for an escape from there: one right in their own backyard. The largest city park in Seattle, Discovery Park, sits on 534 acres on the Magnolia Bluff. Roniq Bartanen, a member of the Seattle Outdoor Adventurers Meetup group often leads urban walks in the city to discover local bird populations and native plants. Discovery Park is one of his favorite destinations. “To me, the best thing about this park is everything,” says Bartanen. “It’s close to many conveniences that a city has to offer but also surrounded by views of the Cascade and Olympic mountain ranges, as well as beautiful stretch of two-mile-long protected tidal beaches with an accessible shoreline either by road or trail. It’s an amazing mix of forest and beach with over 11 miles of walking trails.” Bartanen notes that Discovery Park is one of the best places in the city to view birds and marine life. For those in Magnolia, Ballard or Fremont, the trip to this getaway within the city is almost too easy, within an easy drive, walk, bike or even bus ride. For one of the most appealing weekend getaways, look no further than the mountain whose majestic views this area is named for. “If you ask me, Mount Rainier is one of the — if not the — most perfect mountains on the planet,” says Stucky. “Seeing it in the distance on a clear blue day can literally take my breath away. But as with so many local icons, it’s easy to see it and forget to actually go there. That’s a mistake.” A trip to Rainier can be a daylong hike through the national park, or a full weekend of exploring the area if you decide to camp (just be sure to get a permit) or stay in a nearby inn or lodge. Day hikes and getaways in the city are one option for West Seattleites. But if you want to escape a bit further afield, there’s also a way to get out of the city without having to brave the bridge or I-5: the Southworth-Fauntleroy ferry. Stucky recommends day trips out to the Kitsap Peninsula for a nice weekend getaway. Once you cross the Sound, you can freely explore any number of destinations, leaving Seattle and its traffic behind. Stucky recommends checking out Port Gamble, “an exceptional town for ghost hunters,” the lavender fields of Sequim and the annual Viking Fest in Poulsbo.